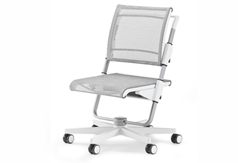 Renowned around the world for comfort and quality, Moll ergonomic kids' chairs are now available in the U.S. We stock two chair styles: Maximo Chair and Scooter Chair. 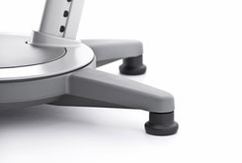 We can also special-order other Moll® chairs for you. The only chair you'll ever have to buy for your child, the Moll ergonomic chair is designed to adjust as your child grows. The seat height, seat depth and backrest height easily adjust anytime to fit your child perfectly. Save hundreds of dollars by buying just one desk and chair to last from preschool to high school. With Moll products you don't need to worry about cluttering your home with furniture your child has outgrown. You get to buy once and use for a lifetime. Children spend a good part of the day sitting. 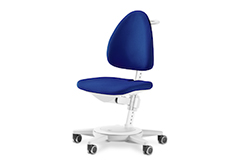 Moll ergonomic chairs are designed to reduce stress on the growing spine. 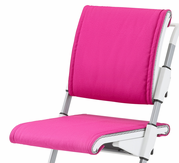 Moll kids' chairs adjust to fit your child's individual needs perfectly. Your child is growing physically and intellectually by leaps and bounds. Moll ergonomic desks and chairs provide a comfortable learning environment where your child can flourish. With a personalized study zone made just for them, kids will finish their homework before you have a chance to remind them. Ergonomic chair adjusts three ways as your child grows. Breathable mesh with optional seat cushions. Comes with white frame and Anthracite netting.